At a black-tie event hosted in the Whitsundays this weekend, Abell Point Marina were once again named Major Tourist Attraction for the region. 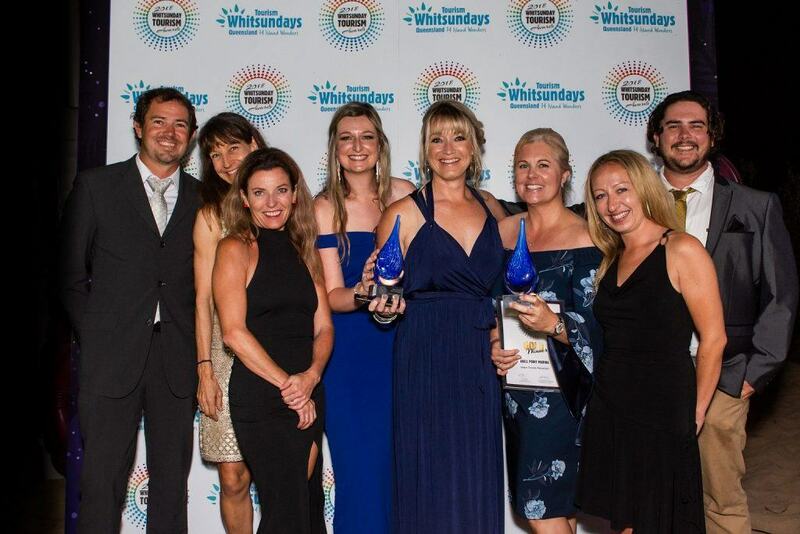 The 2018 Whitsunday Tourism Awards was supported by over 370 tourism operators, employees and industry stakeholders gathering to celebrate the achievements of the region’s tourism operators and service providers. Shining the spotlight on the Whitsunday tourism industry, Tourism Industry Development Minister Kate Jones was in attendance. Ms Jones said in her welcome speech that the Whitsundays was vital to ensuring the growth of the Queensland’s tourism economy. “I know the judges had a particularly tough time this year judging the overall winners. This is a testament to the quality of tourism offerings we have in the Whitsundays,” she said. Whitsunday Regional Council Mayor Andrew Wilcox, Tourism Whitsundays CEO Natassia Wheeler, Tourism and Events Queensland CEO Leanne Coddington and Queensland Tourism Industry Council Deputy CEO & General Manager, Business Strategy Brett Kapernick all attended the industry gala event, as a show of support for the growing tourism industry in the Whitsunday region. With 2018 being the third consecutive year Abell Point Marina has won the Major Tourist Attraction category, the marina was inducted into the Hall of Fame. In addition to the marina striking gold, marina-owned restaurant Hemingway’s took our gold for Tourism Restaurant and Catering Services. Since opening in May 2017, Hemingway’s has developed a strong reputation for innovative food and attentive service in a stunning waterfront setting. Attaining its first Chef Hat (Australian Good Food Guide) in January 2018, Hemingway’s was also a finalist in the Savour Australia Queensland awards in August. The focus now shifts to the 2018 Queensland Tourism Awards on the Gold Coast in November. Situated in the north Queensland town of Airlie Beach, Abell Point Marina is one of the busiest commercial marinas on the east coast of Australia, with 519 wet berths and two waterfront villages that host 21 commercial businesses. Over 80% of marine tourism in the Whitsundays is based at Abell Point Marina, making the marina the ideal destination to stay, play and explore the natural wonders of Australia.